The prices are based on 7 day stay. We also offer 3 and 4 night stays starting on a Friday or a Monday. 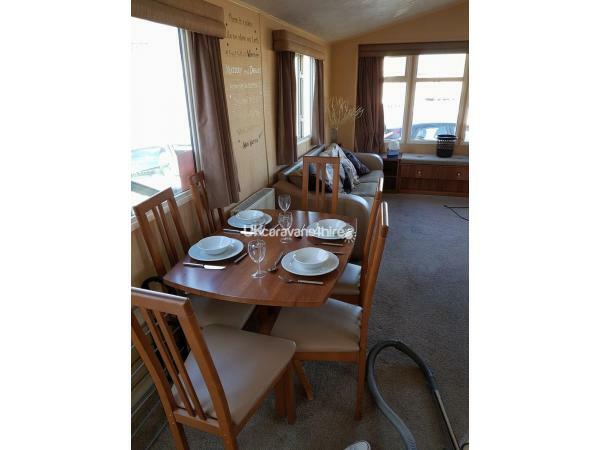 We may do special offers at certain times of the year so please always request a quote. 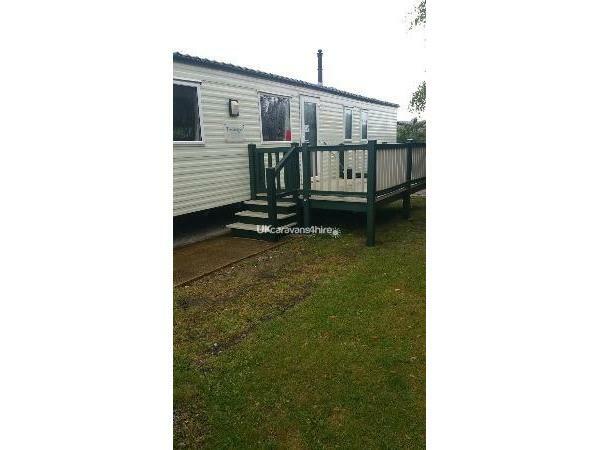 8 berth, 3 bed deluxe caravan to hire in Presthaven Sands North Wales. 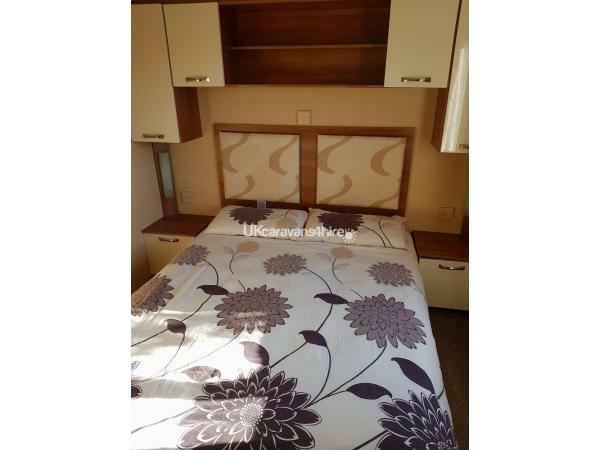 Caravan consists of 3 bedrooms with pull out double bed in lounge area. 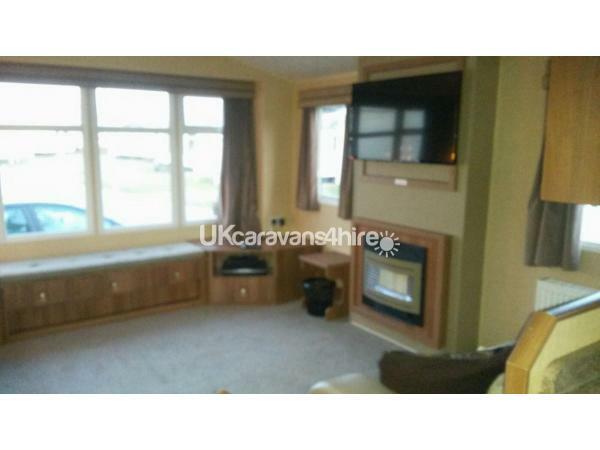 The caravan has recently had all new carpets fitted throughout and new appliances. All new quilts and pillows have been provided, you will just need to bring your own bedding including sheets and towels. 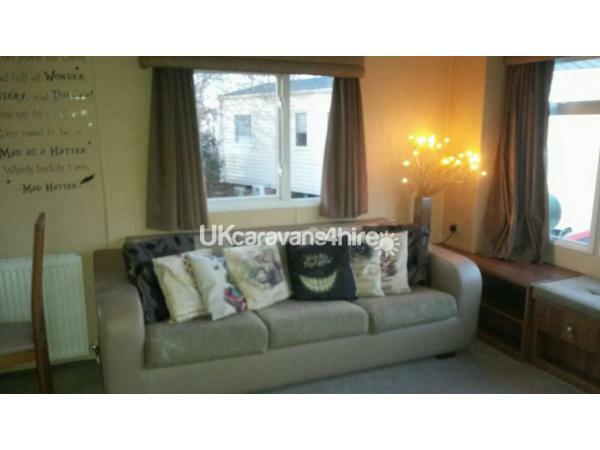 Very spacious with central heating, gas fire and double glazing. 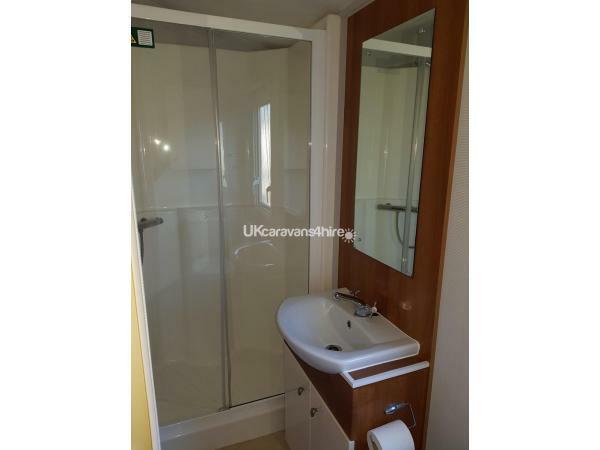 2 toilets and a shower. 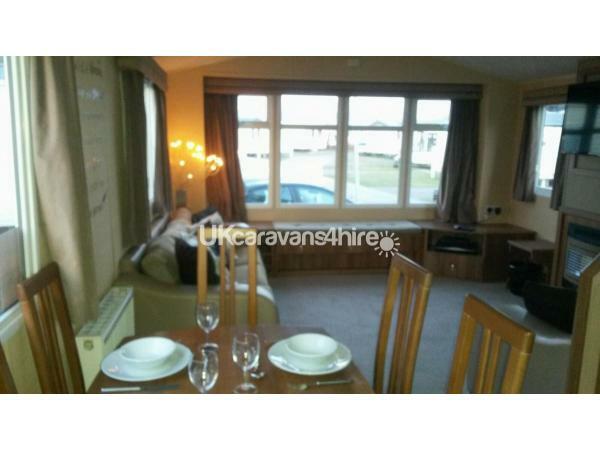 The caravan is a few minutes’ walk from the beach, main complex and shops. The Haven complex offers so many activities including swimming, crazy golf and go karting plus much more. 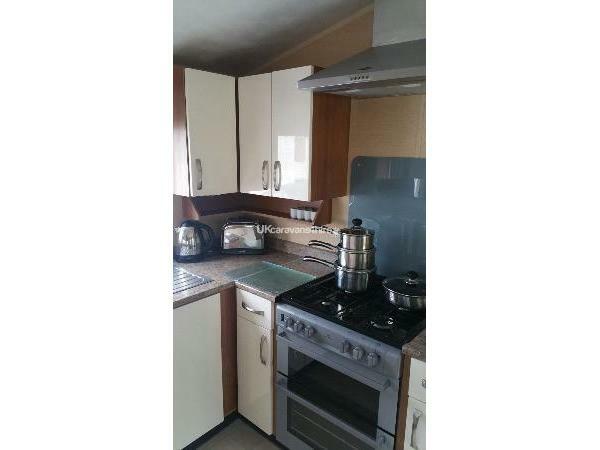 All gas, electric and water is included in price. The passes will not be included. You can purchase these from the main reception upon arrival. Bed linen is included within the price. Please contact me for availability and prices. 07528193770. We offer 7,4 and 3 night stays and prices vary depending on high or low season. 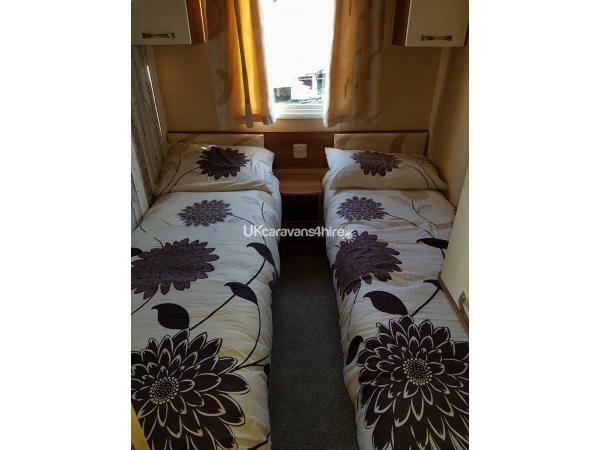 £100 non-refundable deposit will be needed to secure dates and refunded after departure once the caravan has been checked for any damage and breakages. 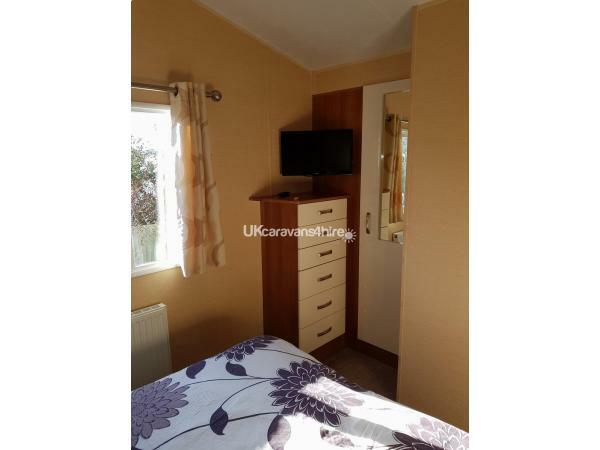 The caravan must be left clean and tidy. Balance due 4 weeks before arrival. Non-refundable if cancelled. Additional Info: There is evening entertainment. There are two bar areas both child friendly with children's entertainment up until 10pm.